I have a proven track record in helping clients turn internet business ideas into a reality successul and profitable online businesses are what i consistently build. The added benefit of my E-commerce solution is that the creative design of the website is unique to your business allowing you to stand out from the rest of your competition. 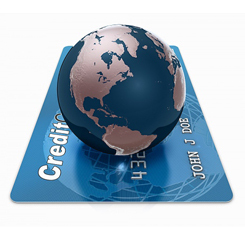 Additionally, all the integration needed for acceptance of credit and debit card payments online is all taken care of for you, either by the payment gateways. E-commerce websites, your window to the whole world, are specially designed websites that are designed to advertise and sell your products online. A typical E-commerce website contains an impressive web design, if needed, products & categories, information on payment method, shipping, taxes and store information. 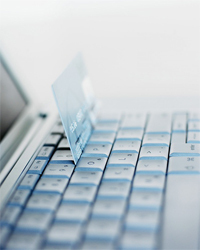 Building an E-commerce website has many obvious benefits. It is a sure shot marketing technique that enables you to enhance sales with lesser investment than you will need for any other method to advertise your products. You can reach your targeted customers with minimal expenditure and effort and also keep renewing your strategies to suit the market needs. My custom E-commerce solutions will enable you to run an E-commerce website on the internet in a user friendly manner. My affordable solutions will get your E-commerce website up and running with the minimum amount of fuss, enabling your business to start selling online immediately. Online Shops are becoming one of the premier uses of the internet, with existing businesses or companies expanding into the internet sector. I guarantee a complete E-commerce solution for your business needs. With years of expertise in e-business and E-commerce, I built a website that will fulfill all your needs. Contact me to request a rate for your proposal and tell me of any specific requirement that you have. All your suggestions are welcome and will be incorporated as much as they can in the website that I design for you. Tell me of any special features that you would like included and you are sure to find them in your website. I offer a wide range of shopping cart solutions and online store packages. Included in my services are packages that range from basic product catalogs and shopping carts to advanced features like online payment and inventory management.